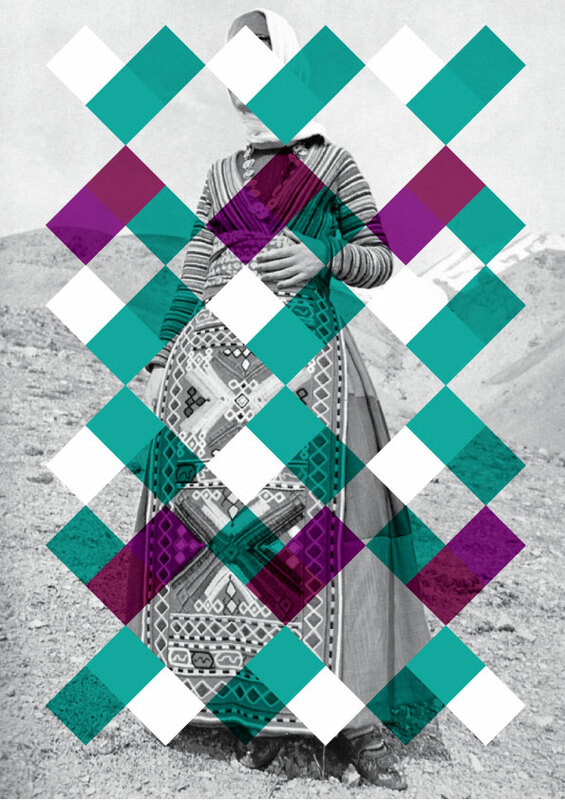 This print is one of a series of altered and appropriated images of Armenian women in traditional costume, readily available on the internet, referencing my ‘digital’exploration to find more about what it means to be Armenian. The titles reference Armenian Goddesses and my introduced patterned overlays, are intended to be reminiscent of the rugs that so famously come from the areas where my ancestors fled in 1915 – Kharpert, Ottoman Turkey. The image deliberately concealed, obscured, fragmented, and digitally artifacted – much is lost in the translation.